Sax Serenade features the great Joe Henderson-Tenor Sax as well as my uncle , Si Perkoff - Keys, Harold Jones from Count Basie - Drums Geno Scaggs - Bass, Lonnie Showtime - Congas and Bongos, Gregg Douglass - Guitar, Andrew Kirby-Vocals, Bobby Riddell- Drums, Ira Kamin- Keys and Steve Weber- Bass. Recorded live in the Saloon in San Francisco and mixed by Myron Mu. 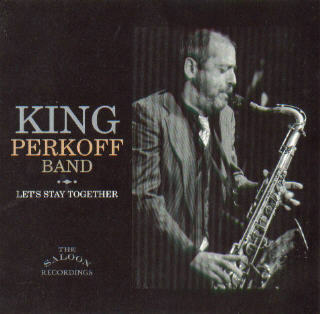 Let's Stay Together features Si Perkoff- Keys, Max Perkoff-Trombone, Andrew Kirby-Vocals, Lonnie Showtime - Bongos, Bobby Riddell- Drums, Ron Butkuvich- Guitar and Ray Brock- Bass. Recorded live in the Saloon in San Francisco and mixed by Myron Mu. Blue Fun features Rudy Stevenson- Guitar, Ernie Schmiedel- Keys, Hans Hoffman- Bass and Klaus Krueger- Drums. Recorded in Studio Mario in Berlin, recorded and mixed by Mario Fister. Location: Philly to NewYorkCity.Anywhere there's an airport or bus station!! 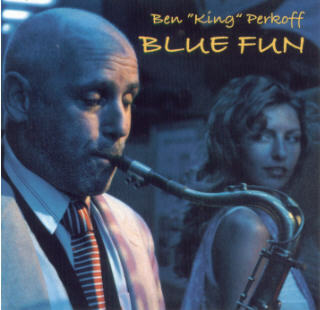 Posted: Thu Nov 06, 2003 6:12 pm Post subject: Ben " King" Perkoff is knockin' me out ! Ben sent me his latest CD " Blue Fun" and it's been in my CD player non stop!!! Beautiful full and rich with just the right amount of funk and soul mixed with really nice tasty note choices. In my opinion Ben should be doing the same kinda gigs and getting the exposure guys like (Lenny) Pickett or even James Carter gets. He's that good and that tasty. In the old days...you'd call it soulful. Today soul is such a passed around term that it gets lost. But LOOK Ben IS soulful. And the overtones in his tenor have weight to them and character. And last but not least....he did " HOT CHA"". What a great version of the tune and the sound he gets is inspiring. 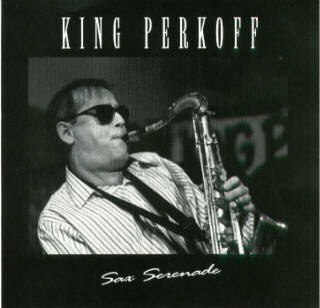 Check out Ben " King" Perkoff....he's someone who has the gift.